The farm Sturlureykir lies right within the Heart of the charming Borgarfjörður district in West Iceland, not far from Deildartunguhver, Europe´s most productive hot spring and only a few kilometers from Reykholt, the home of famous medieval writer and statesman Snorri Sturluson. 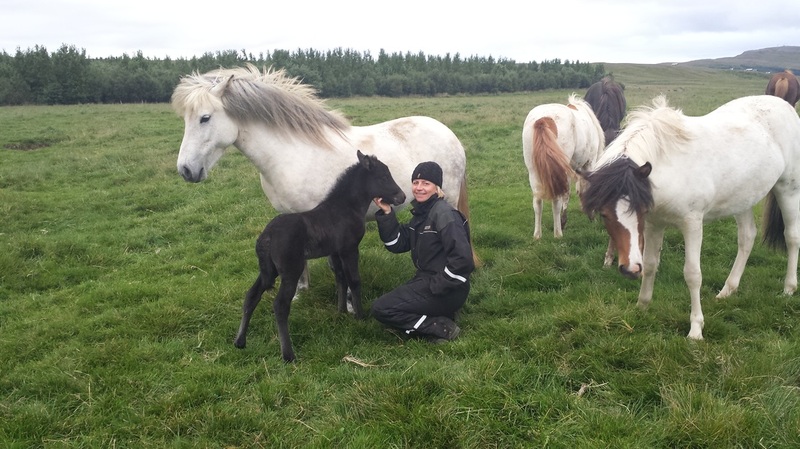 Today Sturlureykir farm is owned and run by Jóhannes Kristleifsson and Hrafnhildur Guðmundsdóttir, a couple who has been breeding and training horses with tremendous success for many years. Jóhannes called Jonni was born and raised on the farm and practically on horseback! He was only 7 years old when he acquired his first „gæðingur“ (Icelandic for horse of outstanding quality) and with this horse Jonni´s future was outlined – he was going to be a „hestamaður“ (Icelandic for person who loves horses above all)! Starting as a teenager he trained his own horses and the ones of his neighbors and is still training today. For many years Jonni lived and worked in Germany both as a horse trainer and riding instructor. He speaks fluent English and German. It was during his time in Germany when his interest awoke in offering riding tours in Iceland to the happy Icelandic Horse owners abroad who nourished the dream to visit the home country of their wonderful companions. In 1993 the first group of horse enthusiasts from overseas came to Sturlureykir to ride with their Icelandic friends and to experience the freedom of trail riding in Iceland. 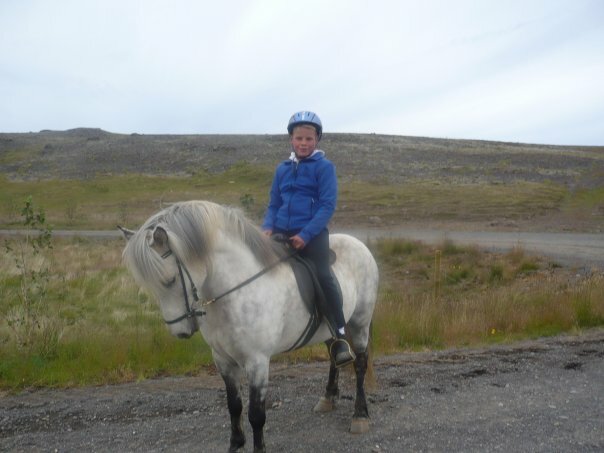 So we can proudly say that horsemanship and travelling on horseback have a longstanding history at Sturlureykir farm. Hrafnhildur is born and raised on Bjarnastaðir in the Hvítársíðu district, home of the beautiful and famous Hraunfossar waterfalls and only 18 km from Sturlureykir. Hrafnhildur grew up with horses and tourism since her parents opened one of the first professional horse rentals in Iceland in 1972. She was just 8 years old when she came along as an assistant guide on the tours, charming the foreign guests with her expertise in horses and nature. For many years she also worked at Húsafell Tourism Service and Hotel Reykholt so all the aspects of welcoming foreign guests to Iceland are well known to her. Still horses were always her main fascination and beside her work at the hotel she bred, trained and showed horses all through her life. 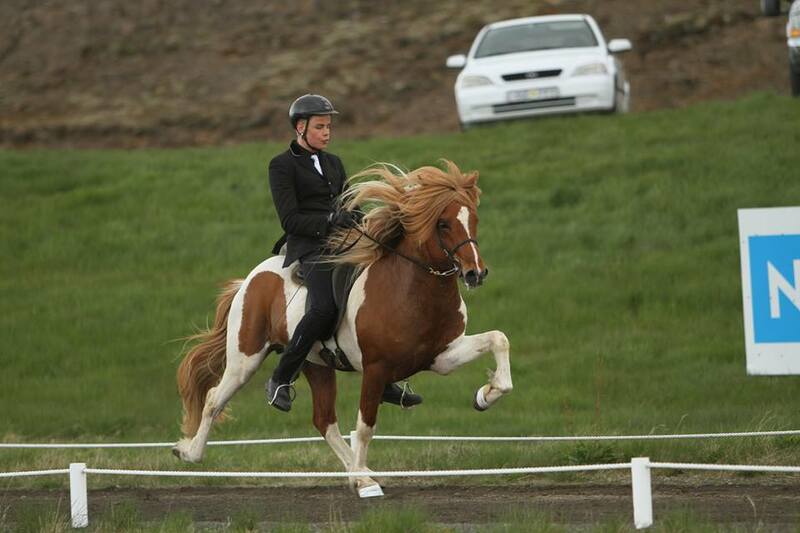 Today her son Konráð Axel is enjoying great success at Icelanic Horse competitions and he is a member of the Icelandic National Equipe. He has won the Icelandic Championships twice and has competed for Iceland at the World Championships at Herning in Denmark and the Nordic Countries Championship in Biri í Norway in 2016. 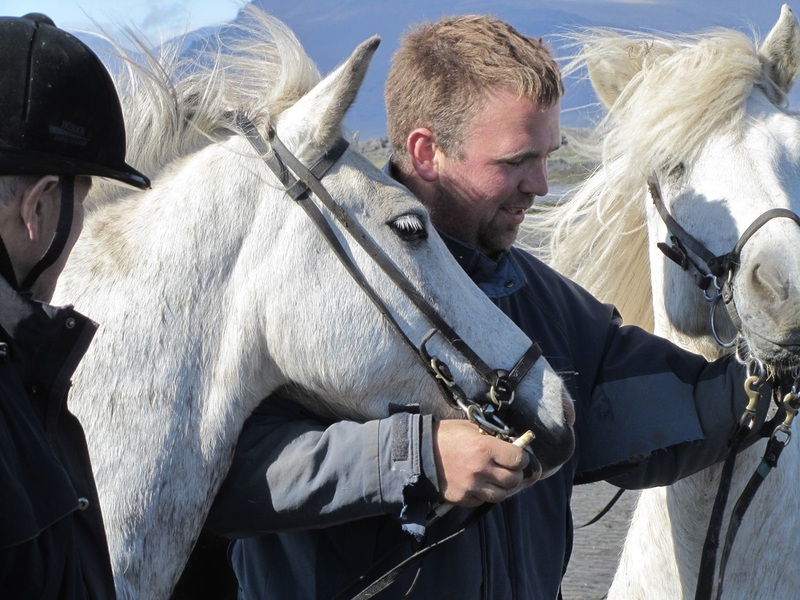 Both Jonni and Hrafnhildur are Hólar certified trainers and instructors and are both members of the widely acknowledged FT Icelandic Horse Trainers Association. 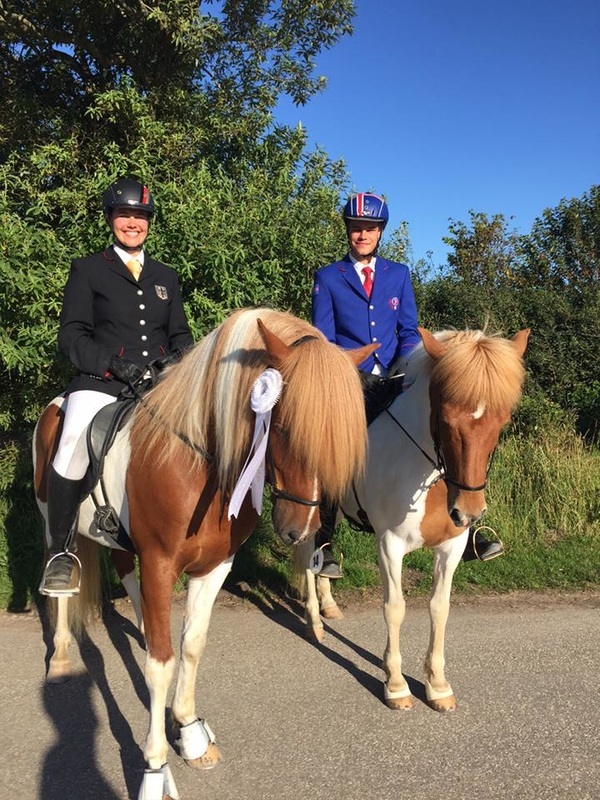 The horse enthusiastic couple Jonni og Hrafnhildur have bred horses for many years with great success. One of their most significant achievements in breeding up to date is the stallion Vörður frá Sturlureykjum who become Icelandic Fourgait Champion with Konráð Axel in 2014. After Vörður left Iceland for Germany he became German Fourgait Champion in 2015 and 2016 and made it into the A Finals at the World Championship in Herning the same year. Jonni and Hrafnhildur have made friends with many Icelandic Horse Fans all over the world for the last decades and many of them come back year after year to their beautiful farm to ride their outstanding horses through the alluring landscape of the Borgarfjörður district with incredible views of glaciers and volcanos, soft riding paths through the Húsafell birch forest and amazing nature jewels such as the Hraunfossar waterfalls! 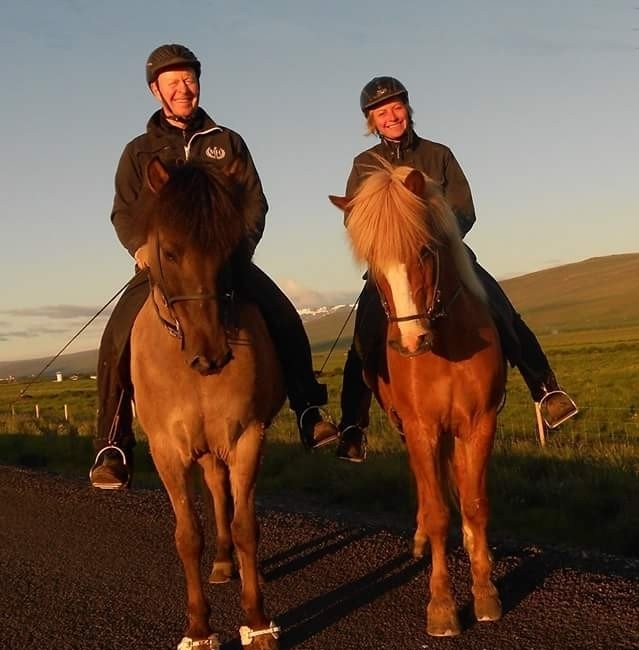 We welcome them as our new Exploring Iceland partners in West Iceland and are convinced that many of our guests will experience their dream holidays while riding with Hrafnhildur & Jonni during the day and dining & relaxing at wonderful luxury Hótel Húsafell during the night!